Fixed assets play a primary role in the equity of companies and income generation ; management , fixed assets and inventory valuation impact the decisions taken by the management. The real importance of controlling inventory fixed assets in principle depends on the type of company we are talking about , whether commercial or industrial or services , a process the data in a certain way or another. To cite one example , the industrial enterprises tend to invest more in equipment and facilities, personal service. Effective management of fixed assets and inventory in particular , should be able to answer questions such as : What is the depreciation expense based on current costs ? What is the effective yield on an investment in plant Asset prices Today ?, it is a financing alternative Leasing ? What are the values ​​at risk and its impact on the coverage of insurance policies ? What is the method of restatement of financial statements that best fits the equity structure of the company ? 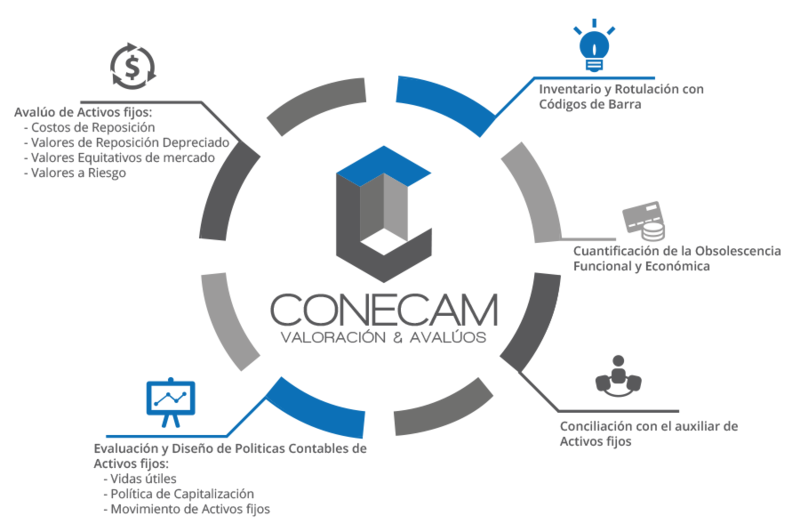 CONECAM integrated specialists in engineering, finance and accounting in order to give comprehensive treatment to manage its inventory of fixed assets, so we offer more than just an appraisal, we provide a Vision , Strategies and Solutions Management of fixed assets. The first step is an inventory of fixed assets , which information should be in line with International Accounting Standards on property, plant and equipment. But when will control inventory fixed assets begins exactly? The exact moment when such control starts is when resources reach the company. Just then the assets should be identified as a first step . The goal is to make responsible use knowing the exact location of each asset. In the case where the assets are already present before they started over, it is necessary to perform a physical inventory to control them all . We proceed to the relevant identification and classification. When accounting have already identified is required with invoices showing the property and serve to control when the impairment is appreciated for use. The lack of control of the fixed asset inventory is a weakness. Do not let that happen in your company and become its fixed assets in useful and productive tools .